From 123.000 €: 2 bedroom and 2 bathroom new building apartments where the upstairs include a large solarium and the ground floor have a spacious garden. This attractive residential place benefits of an excellent orientation and the swimming pool and gardens. 2 minutes walk to Pilar de la Horadada Town Centre (restaurants, shops, etc). 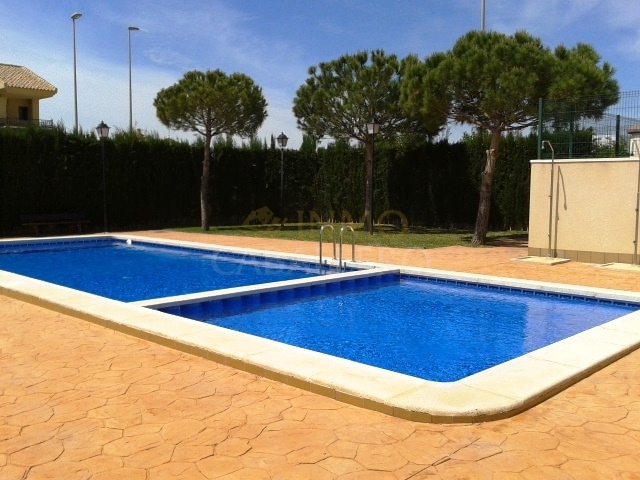 15 minutes from San Javier (Murcia) airport and 50 minutes from Alicante airport. 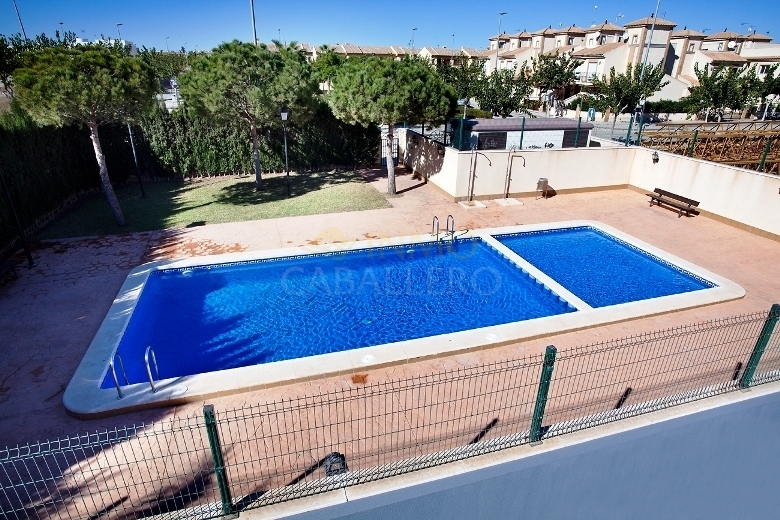 10 minutes from commercial Centre Dos Mares and 15 minutes from La Zenia Boulevard.